I read this article and found it very interesting, thought it might be something for you. The article is called The Conversation About Basic Income is a Mess. Here’s How to Make Sense of It. and is located at http://evonomics.com/basic-income-conversation-make-sense-charlie-young/. Universal Basic Income(UBI) is either absolutely bonkers pie-in-the-sky thinking or an ingenious idea whose time has come – depending on whom you ask. A litany of recent articles argue for and against the idea of giving every resident of a society or economy a guaranteed income stream, usually sufficient to live above the poverty line, regularly and into perpetuity. Those arguing for say that it offers a potential new awakening of cultural expression, as well as dismantling the disincentives to work associated with means-tested benefits, while supporting us through an age of automation, and also creating space for reimagining ownership of the commons. Those against say that there’s no such thing as free money, that people would simply stop working, that layabouts get enough as it is, and that it could lead to either the dismantling of capitalism or of the welfare state. Both sides of the argument – each including those from the political left and right – accuse the other of ‘not understanding economics.’ But the fact that people are arguing over whether or not UBI as a whole is a good idea means there’s something very wrong with the narrative. The debate we have today is rooted in a false dichotomy. It should be very difficult to be for or against something as broad and diverse as the ideas parceled up in UBI. UBI has appeared to make some strange bedfellows; its supporters include anarchists, libertarians, liberal lefties and Republicans (including Richard Nixon). But on closer inspection it is clear that different groups are proposing fundamentally different things. UK think-tank Compass, for example, suggests replacing key elements of the current means-tested benefits system with a basic payment to all citizens, padded by slightly raising the top rate of tax. Economist Charles Murray, on the other hand, advocates paying all US citizens over the age of 21 a sum of $10,000 per year to serve as, in his words, ‘a replacement for the welfare state’. Then there is Dr Thomas Pogge, who suggests a global resources dividend (GRD) whereby current and historical injustices against the global poor are counteracted through the modest taxation of global natural resources – including fossil fuels, land used for farming, mining and destroyed habitats – and redistributing the levy amongst those involuntarily excluded from their use. All of these proposals (and dozens more) fall under the umbrella of UBI. According to advocates of [A], for UBI to be politically feasible it must be achieved using the existing infrastructure of taxation and spending. UBI is an immense ideological intervention – or so the argument goes – and as such should be funded without radical changes or additions to taxation but instead through restructuring the existing ‘inefficient’ and ‘unfair’ benefit systems. Advocates tend to offer here what is referred to as a ‘no-frills’ UBI: subsistence or sub-subsistence levels of income to be supplemented by earnings from employment and/or disability, housing or child benefits. Proposals found in [A] often set out to combat inequality and poverty, including through the dismantling of poverty traps such as the sudden removal of benefits as low-earners incomes rise (which can in some cases mean marginal deductions for the poor of 80%). They also often look to alleviate the pains of unemployment resulting from automation, which is projected to affect the poor most dramatically , as well as helping the projected expansion of the caring economy (especially important in ageing nations). The savings from restructuring existing benefits are likely to be very large. Malcolm Torry of the Citizen’s Income Trust claims the administrative savings from dismantling the means-tested benefit system are in the range of £8-10bn. Put simply, it’s very expensive to decipher who is and isn’t deserving of government support, especially when recipients must prove their worthiness. Restructuring benefits to look more like a UBI could not only save money, proponents claim, but also be fairer. 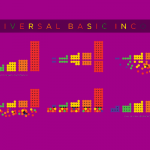 Examples of these kinds of UBI proposals include the work of the RSA, a proposal in the recent manifesto of the UK Green Party, and the work of Philippe van Parijs of Oxford University, co-founder of the Basic Income European Network. What they all have in common is a shared belief that a politically feasible UBI must be small-scale, sometimes include transitional proposals, and be based on funding from existing tax structures. Economists and political theorists on the right, especially those identifying as libertarian, see UBI as a vehicle through which to reduce government intervention in public and private life at large. From this perspective, a guaranteed UBI would legitimize the dismantling of other forms of welfare provision, as it levels the economic and social playing field. Similar to [A], proponents of [B] argue that means-tested welfare is seen as unnecessarily costly, ineffectual, and fundamentally unjust in that it is an economically and socially distorting form of state charity. Prof. Matt Zwolinski of the Cato Institute enumerates four libertarian arguments for a UBI. He places them under the banners of: i) reduced bureaucracy, ii) reduced cost, iii) reduced rent-seeking (i.e. under a universal program there is less space for political exploitation or benefit fraud), and iv) a reduction in the state’s ‘invasive/paternalistic’ tendencies, as there is no longer a need to categorise beneficiaries as the deserving poor. Examples include a proposal from one of the founding fathers of neoliberalism, Milton Friedman, a litany of publications from conservative think tanks including the Cato Institute, and the proposal of Charles Murray’s mentioned above. One clear difference between the literature making up [A] and [B] is that the former focuses on macro-level indicators of say, inequality, and potential effects of redistribution on such indicators, while the latter focuses instead on changes in individual behaviour resulting from a UBI. The proposals that make up the [B] category put faith in individuals to, given more adequate means, make the world around them in a more effective way than the state can do on their behalf. The poor, in this view, are likely to make intelligent choices about how to spend cash grants, an argument backed up by empirical economic evidence from Uganda to Mexico. Thus, the two kinds of proposals differ in intention, assumed problem, and predicted outcome. The communalising of common assets can be global natural resources, the carrying capacity of the biosphere, atmospheric carbon, fisheries and forests, unearned income, or even the productive capacity of automation and technological change. The fundamental assumption here is that such assets – be they physical, biological or cultural – should be respected as the common property of all, rather than be the source of exploitative disparities from unequal access and power. This set of proposals is more systemically transformative than [A] or [B] as it is predicated on the realisation of new economic institutions and drivers. This category is also more diverse in scope than either [A] or [B], differing not only in terms of funding source but also in geographical distribution – some propose a global UBI. Peter Barnes and James Boyce outline this range of proposals as charges placed on the access and use of ‘communally inherited assets’ and the redistribution of the resulting revenue. Charges could be placed, for example, on polluting the scarce resource that is the carrying capacity of our atmosphere, or on trades of stocks, bonds and derivatives (the latter of which could raise $300bn per year). Barnes and Boyce claim that charges on a ‘portfolio of universal assets’ could grant US citizens a UBI of $200 a month. Iterations of wealth tax that could fund UBI include those suggested by Thomas Piketty like progressive capital taxation, and the Georgist land value tax (LVT) as proposed in the UK context by Martin Farley. Farley suggests land ownership be taxed and the raised revenue, coupled with that raised by what he calls Commons Licenses (a version of Barnes and Boyles’ common asset proposals), could fund a £4,500 annual UBI. Economist Yannis Varoufakis and futurist Kartik Gada, on the other hand, have each suggested that the labour savings from automation could (and should) pay for UBI. Varoufakis’ proposal is one-part wealth tax and one-part ownership restructuring: a small tax is levied on shares from every initial public offering put into a Commons Capital Depository that in effect grants citizens property rights over new technologies that yield financial returns. The Commons Capital Depository would then pay out a UBI to all citizens. Varoufakis sees this as potentially alleviating “irreconcilable political blocs, while […] reinvigorating the notion of shared prosperity,” largely due to reframing understandings of when wealth is a result of hard work vs. context and luck especially in the face of technological unemployment. Similar ideas have been touted by Silicon Valley entrepreneurs and tech-firms. Y Combinator has even launched its own UBI pilot programme (though this is arguably closer in essence to [A] than [C]). While some proposals focus on addressing inequality and poverty traps [A], others focus on increasing individual freedoms and reducing government interference [B], and still others attempt to introduce new feedback loops into the economy and restructure the polity of ownership [C]. It is important to note that these are not necessarily mutually exclusive, given that the ideological foundations and value frames associated with each often overlap. However, the ontological differences are worth bearing in mind when speaking of UBI more generally. Its time we treat UBI as the messy fabric that it is. Only by teasing apart the strands of the various arguments can we have a coherent discussion about whether and how best to implement its specific iterations. It’s especially important that we know what we’re looking at, especially given the recent upsurge in interest. Even if you consider yourself “pro” Universal Basic Income, a UBI by any other name may not smell as sweet. 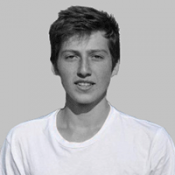 Charlie Young has been active in numerous climate change campaigns and after working at the New Economics Foundation shifted his focus to working on and writing about new economics and systems theory.